Frommer’s Unofficial Guide to Walt Disney World with Kids is the perfect family vacation companion for that magical kingdom of crowds and confusion. This guidebook’s tips and tricks include planning your trip, as well as places to stay and eat inside and outside of Orlando. Then, of course, there’s the insider scoop on Florida’s most famous themepark, details about individual parks and even “The Wizarding World of Harry Potter” at Universal Studios, the rest of Orlando and Seaworld. Plus there’s information about which ways to walk through the parks to maximize the rides you visit, and tricks on avoiding the lines at the most popular thrill rides — all written by real themepark fans. The guide is written in an easy-to-understand, straightforward manner. Frommer’s authors Bob Sehlinger, Menasha Ridge, Liliane Opsomer and Len Testa, long-time Disney-goers, want to present the most essential information without throwing in the unnecessary frills. A special section is dedicated to preparing yourself and your family for the trip ahead. Everything from mental, emotional and physical health to dealing with the possibility of frightened youngsters is covered in this section. 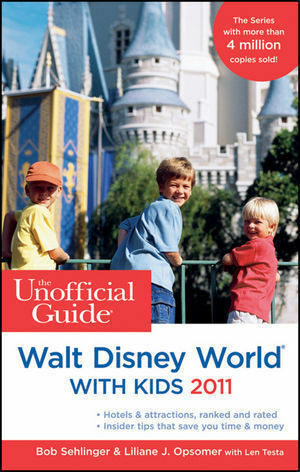 The authors also rate rides and attractions, detailing their process of consideration. This is helpful for figuring out what attractions you want to see and which ones you will avoid. And since this is an unofficial guide, you can trust that the authors had you, the consumer, not the Disney Corporation, in mind when writing it.